Hello there and welcome to my website. Persons always raise an eyebrow when I tell them that I love trash cans! Well, I sometimes qualify this and say that I’ve always been intrigued by them, even more so now that there are so many different types available. I spend a good chunk of my time reviewing them on their functionally and, strangely enough, their beauty, because there is beauty in a well-designed trashcan. Choosing the right one for your space will make you realize how important design and functionality are when choosing a trashcan, because choosing the wrong one can cost you a lot of productive time and effort, which will ultimately make you unhappy about your choice. I hope you enjoy the selection and I am sure that you will find them useful. This wastebasket is simple yet does what it’s supposed to do. Its 13-gallon capacity is great for medium to larger sized kitchens as it will hold quite a bit of refuse. While it has ample capacity, it’s designed to fit into narrow spaces. Its “Rubbermaid tough” in that it’s made of that durable plastic that we expect from Rubbermaid products and it’s also very easy to clean this trashcan. This is a pedal step in where you step on a pedal to open the lid. This is always a convenient feature as it allows hands-free operation, which is always convenient when your hands are full. On this model, Rubbermaid has upgraded to a stainless steel step that is way more durable than the all-plastic step. Another cool feature that I like is that that once you step on the pedal, the lid will remain open even when you remove your foot from the pedal. This is so helpful when you are making multiple trips to the trashcan in a short period, or if you prefer it to stay open for a time while you work in the kitchen. 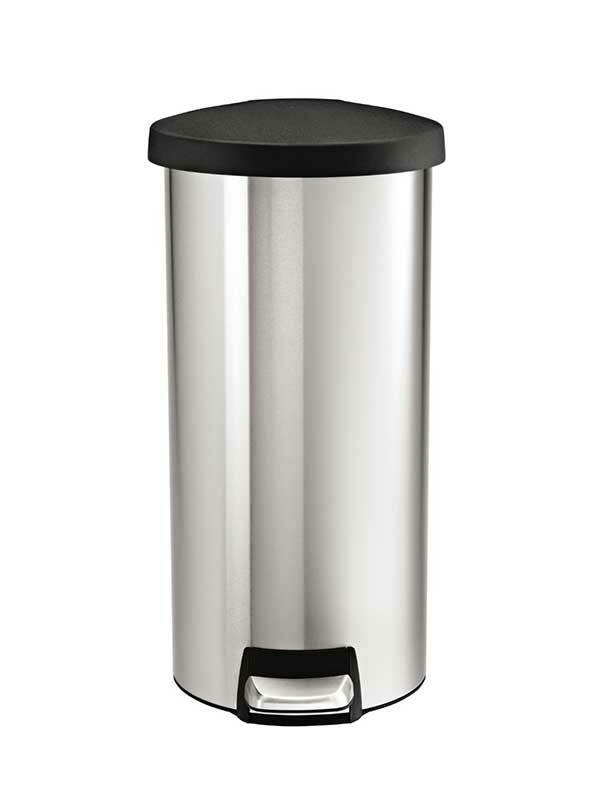 This sleek stainless steel trashcan is a beauty. It’s simple in design yet will add a touch of elegance to any kitchen. Its round shape is very versatile in that it can fit almost anywhere and still looks good. While it’s beautifully designed, it’s also functional in that it’s fitted with a plastic lid so the trashcan won’t show any smudge marks. What’s also great about it is its uni-body design – no additional inner bucket is necessary, which is great news when it’s time to clean the trashcan, as that’s one less thing to worry about. Lots of us have had the experience of using a pedal-operated trash can and when we release the pedal, the trashcan lid comes down with such a loud bang that it can be very irritating. This unit from Simple Human has Shox technology, which is designed to make sure that the lid closes smoothly and silently every time. I can’t tell you what a relief it is to be spared from the jarring bang of a lid closing on the trash can. This pedal system is made to last. Lots of pedal trash cans look great, cost the earth, and then work for a month or two before going bust. Not this one. It’s been designed to last for 20 years, estimating that the user will step on it approximately 20 times per day. I’d love to put the 20 year challenge to the test; we’ll see, but for right now this pedal is working just fine. This unit is as basic as it gets, yet serves its purpose well. It’s made to be place under a desk or some other tucked-away area so there is no need for any bells and whistles. Some people use it under the sink in their kitchens or as the bin in those pull-out receptacles that look like a part of the cupboards in the kitchen. Others use it under their bathroom sink if they have a closed area there. This trash can is strong, strong, strong. Several reviewers have said that they’ve been using the same ones for more than 20 years. That says a lot about the manufacturer, Rubbermaid, but then we already know that they are one of the best out there. These are so strong yet they are cost effective so you will find yourself stocking up on them for various uses around the home. 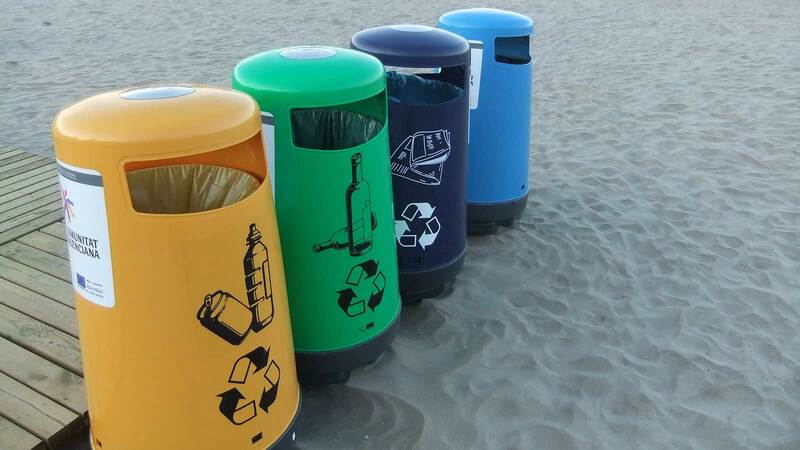 One of the most popular ways that it is used is for recycling; people use them to sort their trash to be placed in the appropriate receptacle outdoors. Many of us spend at least a third of our day at work whether we are going out to work or working from home. We all want our work spaces to look great as we know that it helps us to feel comfortable, concentrate, and be more productive. Part of having a great work space is having the right accessories; this mesh wastebasket from Rolodex is simple yet adds a touch of class to any space. Rolodex has been making high quality office products for years, and this sleek garbage can is no different. 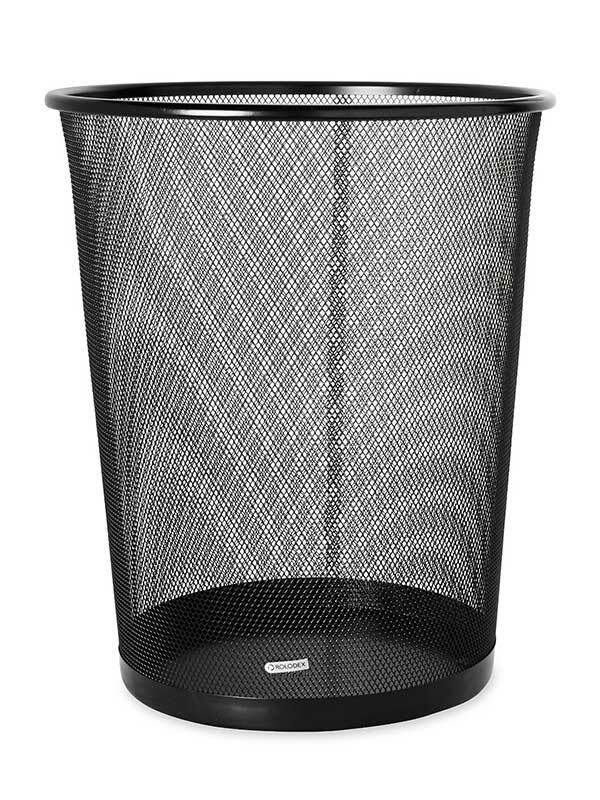 This trash can is a part of the Metal Mesh Line of office accessories and it comes in a professional looking black. It’s pretty hardy and if someone should kick it by mistake, for example, and it gets dented, you just need to apply a little pressure to pop it out again. It’s also not one of those teensy-weensy trashcans that need to be emptied every five minutes so you can work all day, maybe more depending on your work habits, before you need to empty the basket. It’s unlikely that the folks at Rolodex had the bathroom in mind when they put the trashcan out on the market, but its looks so great that people have been using them in the bathroom as well as in other areas. The great thing about this is that it will not rust in the bathroom or areas with a higher moisture content than the average office. All is well as long as it works in the space that you want it to, taking into consideration that its mesh design may not make it suitable for every situation. I must admit that most of the time I’d rather not touch the trash can – the little germophobe in me comes out, especially if I am not the only one using it. So these trash cans from Nine Stars are perfect for me. I didn’t really think that the sensor would work as when the technology was first applied to the trashcan there were numerous stories of them not working, making the purchase a waste of time and money. Nine Stars gets it right though with their units where the lid opens once you are within the sensor’s range and, in fact, they are the first legal patent holders for this kind of tech in a trash can. The sensor is activated when your hand or the trash you intend to put in is within ten inches and 130-degree angle from the infrared sensor. The lid will remain open once you are in that range and will close three seconds after you move away. It’s hard to beat the value for money with these units, because this particular package reviewed came with not one but two trashcans; the larger one suitable for the kitchen and the smaller one more suited to the bathroom or other small area. 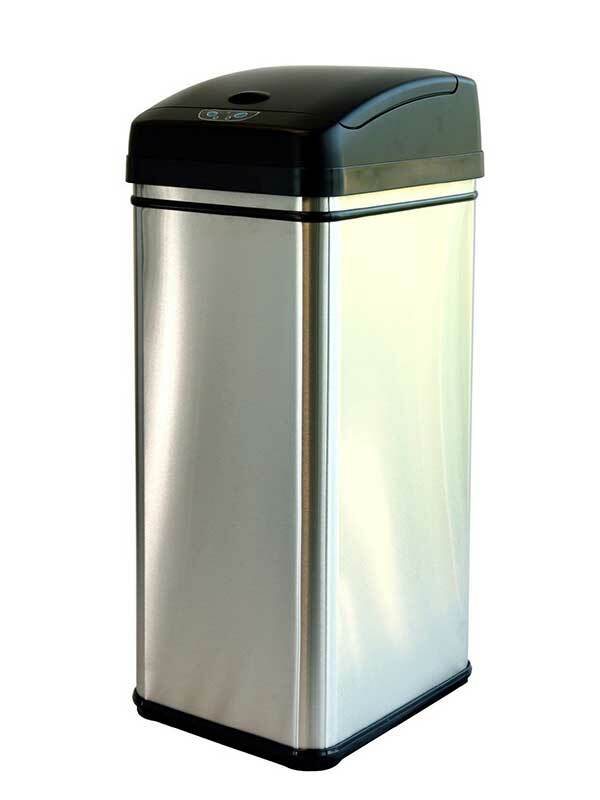 The trashcan is made of 100% stainless steel with a plastic lid and rim. Its designed to be anti-fingerprint and anti-smudge to retain its great look wherever you place these units. 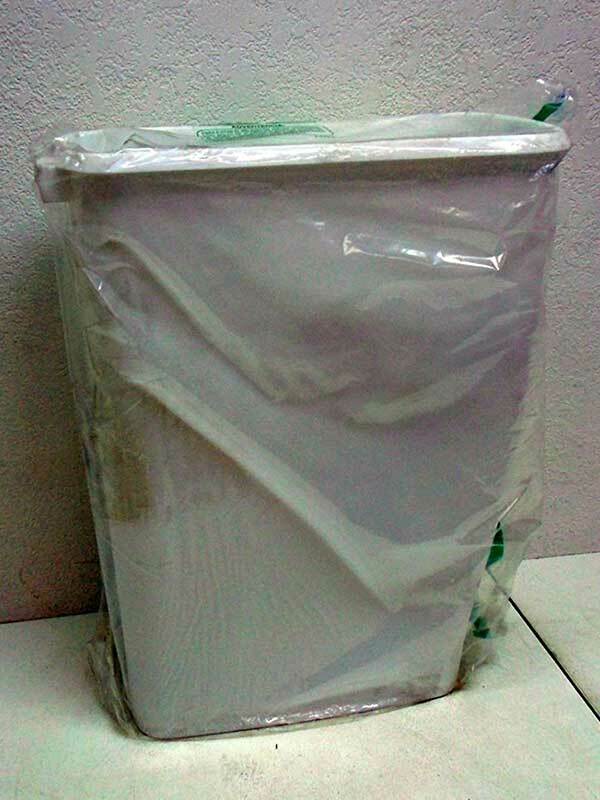 The material used to make trashcans has to be tough in order to withstand the heavy use and the weight they will occasionally bear. Sometimes though, there is a tradeoff with the tough material, like the polypropylene that Umbra uses to make this can – the look of the unit can sometimes appear a little rough. 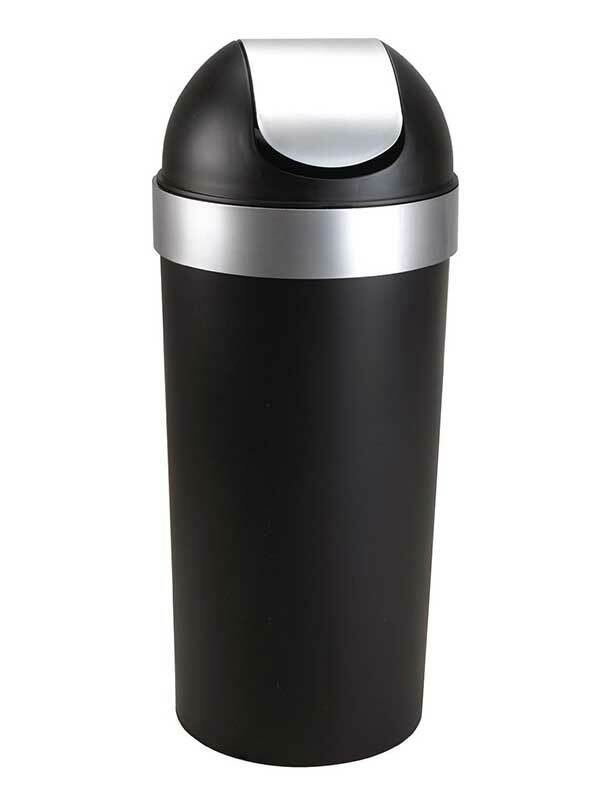 However, Umbra manages to bring off an elegant look with this polypropylene waste can. These units look fantastic and come in a wide range of colors so you will find one to suit any décor, or you can pick up a few because at this cost, you can. The colors are vibrant and contemporary and the trashcans have a lovely sheen to them giving them an almost liquid look. What you might not know is that this design, called the Gambio, is an award-winning one. The trash can is on permanent display at the New York Museum of Modern Art, so if you get one of these, you’re in good company! As great as it looks it’s also very strong, courtesy of the recycled polypropylene that it’s made from. It’s suitable for smaller spaces like the bedroom or a home office, or any kind of office for that matter. Just bear in mind the capacity of the trashcan. Simple Human is known for its simple classical designs and this trash can continues that trend. 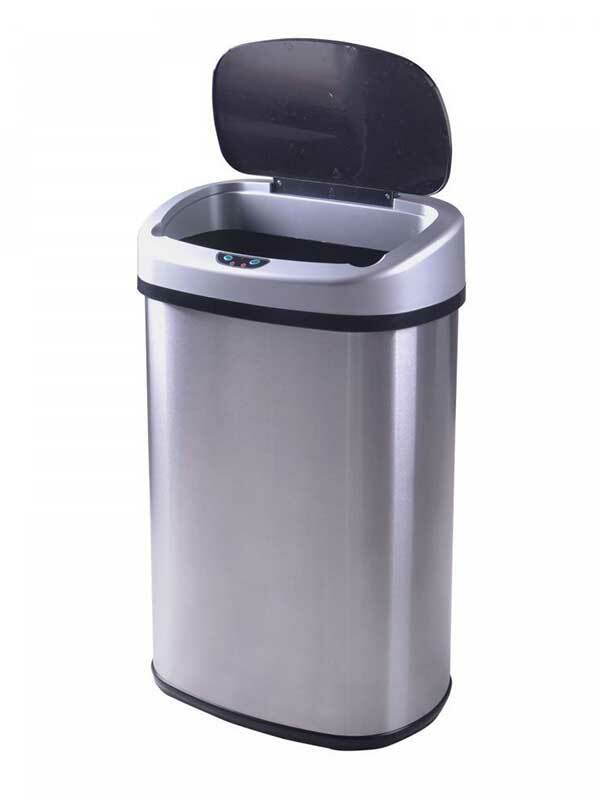 They are all for offering you style options; this semi round step trash can has a nice look while being very functional. The 13-gallon size here is also a convenient one as its will hold a fair amount of trash, but at the same time its size works well with most kitchen spaces. The semi round design looks great and it fits well into most spaces. At 13 gallons, the trash can will handle most trash situations in a busy home. It can also accommodate trash in high-traffic areas pretty well, so if you plan to use it somewhere other than in a kitchen, you can feel confident in doing so. Reviewers can’t seem to stop talking about how great this unit is, especially its durability and how well the foot bar works. It has a seamless mechanism and the lid opens evenly. It also has the slow closure feature, SHOX, so that the lid does not bang shut once you have removed your foot from the bar. 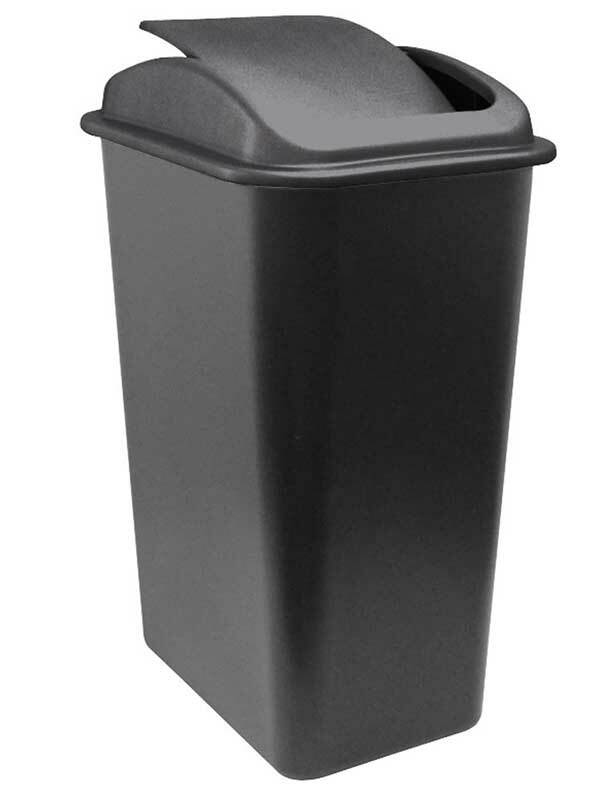 The body of the bin is made from plastic and if black is not for you, the trashcan also comes in a few colors to brighten any space that the trashcan is located. With its 5-year warranty you know that Simple Human believes in their product. I’m really into the touch-free trash can. I love that you don’t have to touch them for the lid to open. In my house, where there are kids who aren’t necessarily careful about how they dispose of waste and washing their hands after handling the trash can, this is great to have in the kitchen. Using infrared technology, you are freed from the necessity of touching the trashcan to open it. If you place your hand or the refuse six inches away from the sensor the lid will open, and when you move away the lid will close after 3 seconds. I admit that I kept opening the lid just for fun the first few days that I had this trashcan. What’s been great too is that the kids love it! No more “almost made it” with getting the trash into the can – they get such a kick from it opening on their approach, everything makes it into the trashcan now! You may prefer to open the trash can manually from time to time and there are buttons near the lid that allows you to do so. While the manufacturers seem to favor using batteries to operate the trashcan, they have made it with an electrical port, so if you prefer to plug it into an outlet you can. You just need to get a universal power cord, which is not supplied with the trashcan but should be easy to get at your local electronics store. Swing top trash cans are a nice alternative to a lidded bin. If you don’t want a foot pedal-operated bin or a sensor-operated one but still prefer not to have to lift a lid, this is a good option for you. It’s so very simple – you just gently push the lid and deposit the trash; what could be easier? This one has no visible gaps between the swing lid and the lid housing, so when it’s closed there is no open space around it for odors to escape or to attract flies or bugs in the summer. Even then, though, the lid operates freely when pushed, so Umbra gets it right with this design. At 16 gallons this is a large unit for the average home, but it’s tall, not wide, so it does not take up a lot of space. It sure does hold a lot of trash. Made from polypropylene, you can be sure that it will stand up to all kinds of conditions and is unlikely to be damaged. 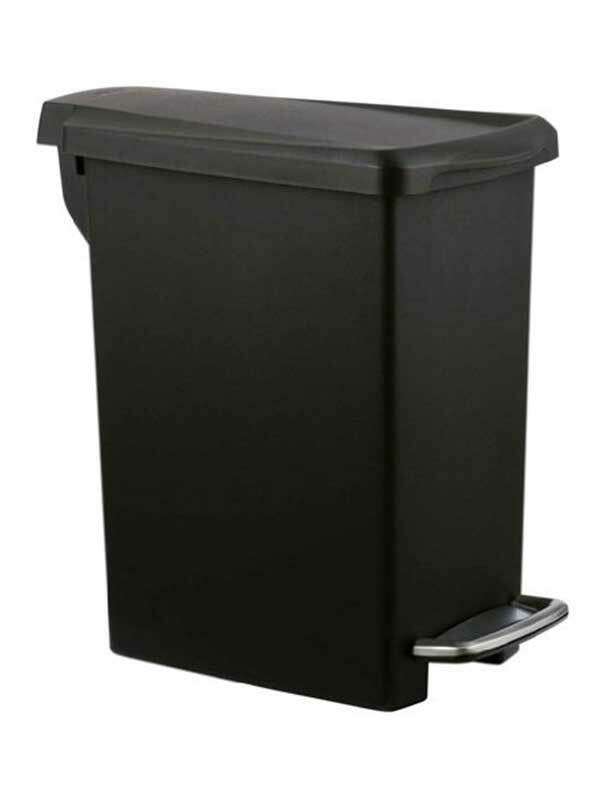 This style of bin is reminiscent of the 70s – a nice throwback, but the metallic accents on the black surface ties the style elements to the present decade. The metallic band at the base of the lid section actually hides where the trash bag is secured, so you will always have a sleek look going on in your home. 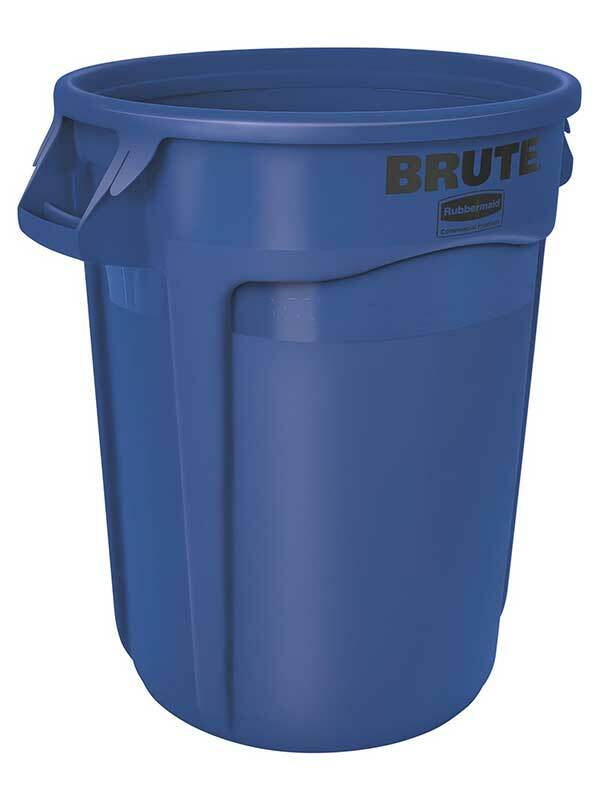 Rubbermaid could not have chosen a better name for its outdoor unit, the BRUTE trash can. It’s so tough and hard-wearing that it would take a lot of excessive and intentional force to damage this unit. Its best used in the area that you remove your household garbage to, and because it’s blue it’s best suited for your recyclable waste, so it helps both you and the waste management team that collects the waste to know what goes where. This trash can is made tough. The base is reinforced because Rubbermaid expects you to drag it around and treat it harshly. It’s made from a single mold so there are no seams to come apart, and even if placed in extreme environments this trashcan is not expected to crack, crush, or warp, and the color will stay true. This can makes it easy to remove liners as its designed with venting channels that lets air flow into the garbage bags – without this, suction can make the liners difficult to remove. They have also made cinches on the rim of the can to secure the liners. I must admit that I love the look of stainless steel units. They are sleek and look great with any kind of decor. This huge one, Organize It, will handle all of your garbage and then some. It’s a large unit, but sleek and well made, and it will look great in any space. The dual compartments makes it so great for separating your trash, and that’s what I really really love about it. Built with recycling in mind, the unit has two separate bins on the inside, two separate lids, and separate foot pedals as well. 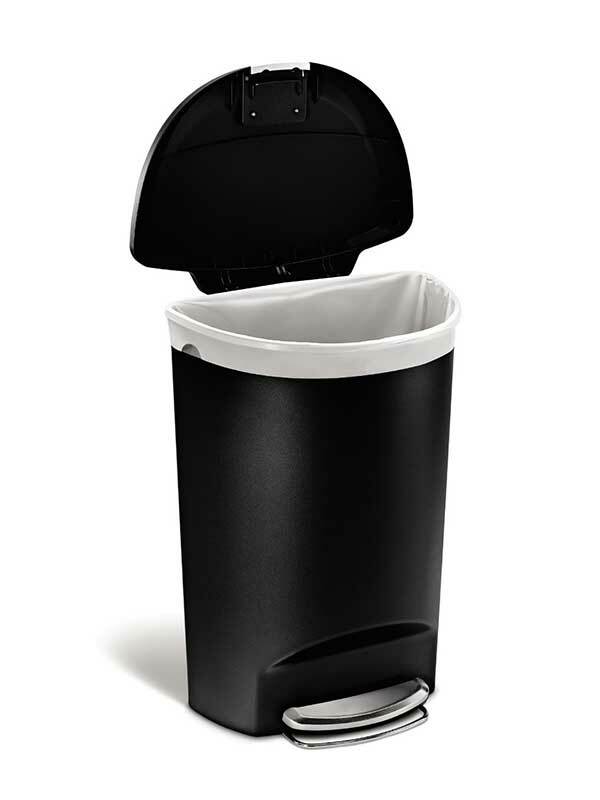 You can chose to use the bins without liners, or it will work with liners too if you will be using for trash purposes. Each bin has its own handle and lifts easily out of the housing. Many reviewers commented on the durability of the unit, with some getting themselves a second unit after a few years because they were so pleased with their first. It’s easy to maintain because the stainless steel is easy to clean and the bins lift out easily for cleaning. This is a nice swing lid unit from United Solutions. It works well and is fairly sturdy. It has a good price point so if you’re on a budget, you can pick up one of these. 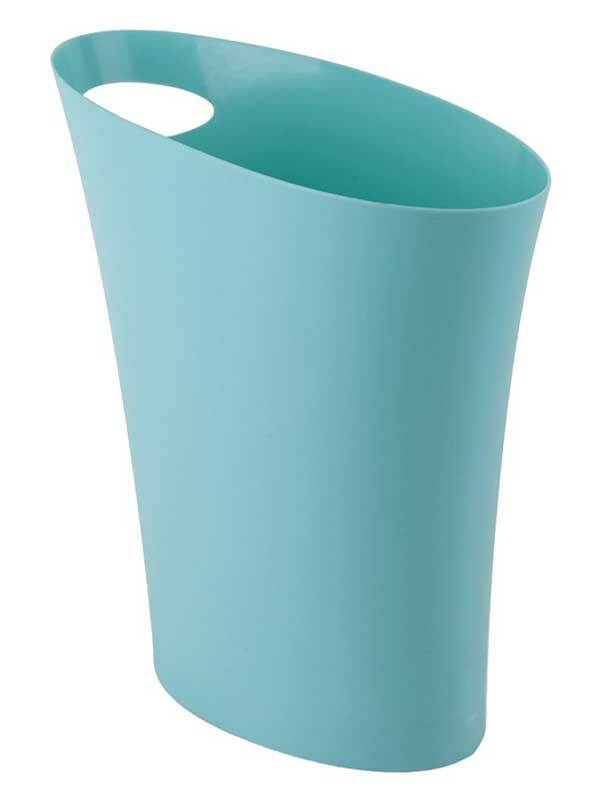 It’s a versatile wastebasket and its size makes it easy to be used in any room in the house. You can also use it for doing more than storing trash. I use three of these to sort toys in my kids’ rooms. It’s cost effective as a storage unit and looks neat and blends in well. This is a good choice if you are looking to get something bigger than the average-sized trashcan used in a bathroom or bedroom but still need something compact enough to fit under the bathroom sink. It just has that perfect sizing for those kinds of spaces, yet is ample enough to be used in kitchens and areas with moderate amounts of trash. Lots of persons will go for units that are all stainless steel, but plastic units are just as effective and are sometimes even more suitable for particular areas. This trashcan is made of durable plastic; expected to last a lifetime. Waste baskets need not be dull and predictable. You will be pleasantly surprised by the look of this unit from Umbra. 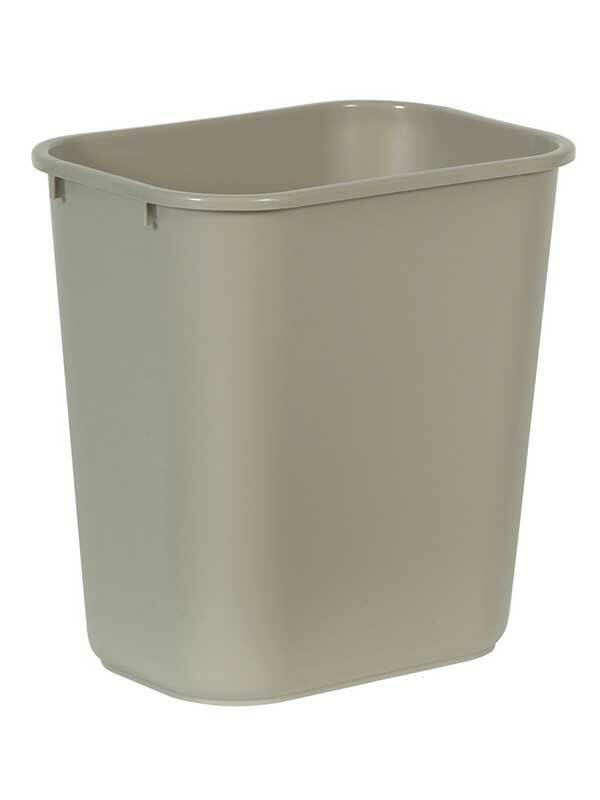 While it’s made of polypropylene, a favorite from this manufacturer, it has a lovely woodgrain finish that makes this bin suitable for the office or bedroom. I like to use these bins for other than their intended purpose, usually as storage units, and there are so many possibilities for this one because it looks so great. I think I might put two of these in my closet to store a few loose items. Everyone raves about how great this trashcan looks. Its usually bought to complement a specific décor, but many people either get themselves another one or move this around as needed. It looks great anywhere you put it. The trashcan is a little taller than the ones you may be used to for bedrooms and so on, and that adds to the elegance of the can. Built with the super strong recycled plastic polypropylene, it’s tough and built to last. This trash can is Simple Human’s offering in the small trashcan range. It has the same attention to detail and craftsmanship of larger Simple Human units and is made mostly from cost-effective plastic except for its sturdy steel foot bar. That is a little unusual for bins of this size. It’s small and sleek, so it fits comfortably in almost any space that you can think of. The foot bar and stabilization mechanisms make this unit operate as well as one more than twice its size, and that’s important because in a trashcan of lesser quality, the can would probably flip when you step on the pedal. This one stays in place and you are not even concerned about its size. 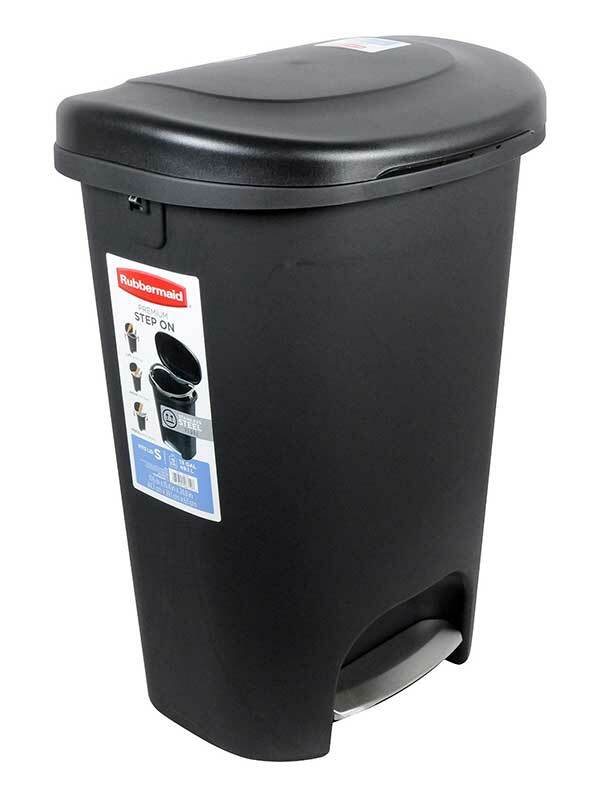 This is a small trashcan that can fit into some really tight spots but is great for anywhere else you might chose to use it. Just remember that with a smaller capacity, this is one that you would have to empty everyday if it is used regularly. 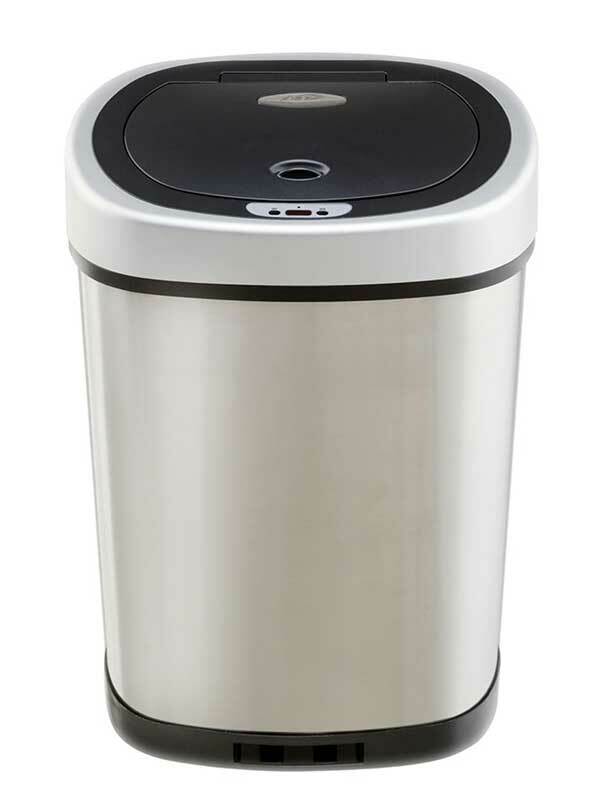 A touch-free deodorizing stainless steel trash can? I’m in heaven. It has everything that a trashcan could possibly have for me to feel like I have the ultimate unit. The deodorizer was an unexpected addition and definitely a plus for me. The size too is great for any kitchen, as we do generate quite a bit of refuse on a daily basis. We all know that the average trashcan can get quite smelly. This deodorizing system is genius. 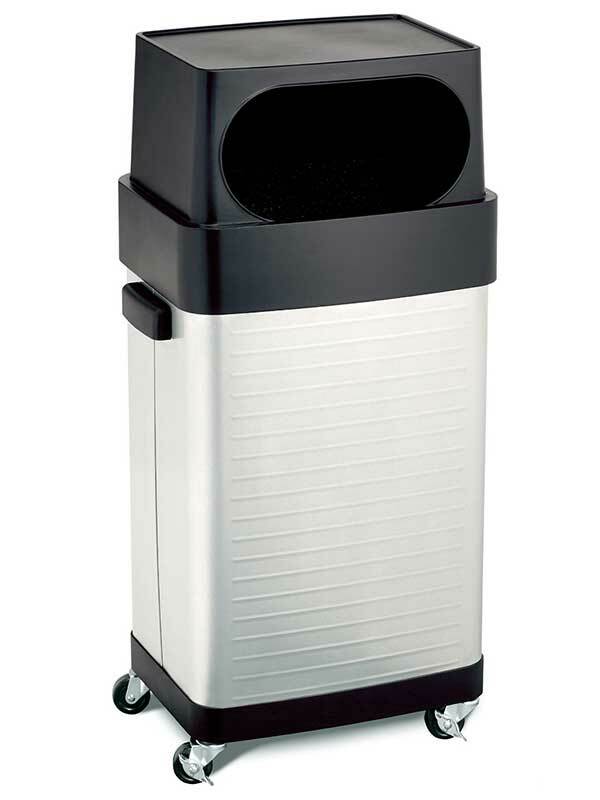 The can has a Carbon Filter Gate (CFG) which uses activated carbon to neutralize and eliminate odors. Odor control is great in any setting; everyone will appreciate this. The touchless feature is so convenient. I find it most useful while cooking; if I have to dispose of something I can do so without having to touch the lid and contaminate my hands, having to wash them again before continuing what I was doing. It’s a time saver, really. 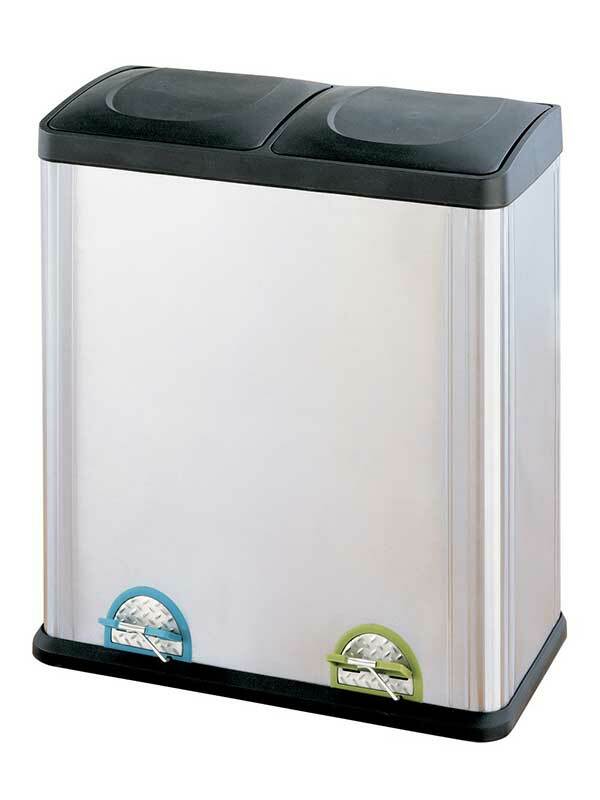 It you do not have a lot of space for a trash can but need one that functions well, this unit is right for you. Its ultra slim design makes it easy to fit into the tightest spots in your home. Rubbermaid has been a trusted brand for decades and its reputation is well earned as this unit is very sturdy and should last for a long time. It’s very basic so there are no bells and whistles, so to speak, but it gets the job done. It’s also very easy to clean, which is always a plus. A tip I’d give you with this one is to make sure the lid is firmly secured before using. A few persons said that the lid did not work properly, but it only needs to be properly secured and it will work well. This continues to be one of the most popular features on trash cans; most of us hate to have to touch the lid and this always works well for us. The foot pedal mechanism works well on this unit; you only have to make sure that the lid is fitted properly. This is such a sleek unit that one may feel that something had to be sacrificed to make it work. If so, we have yet to figure out what it is because this unit works so well, especially considering the price point. Another plus for me is that it’s made in the USA. 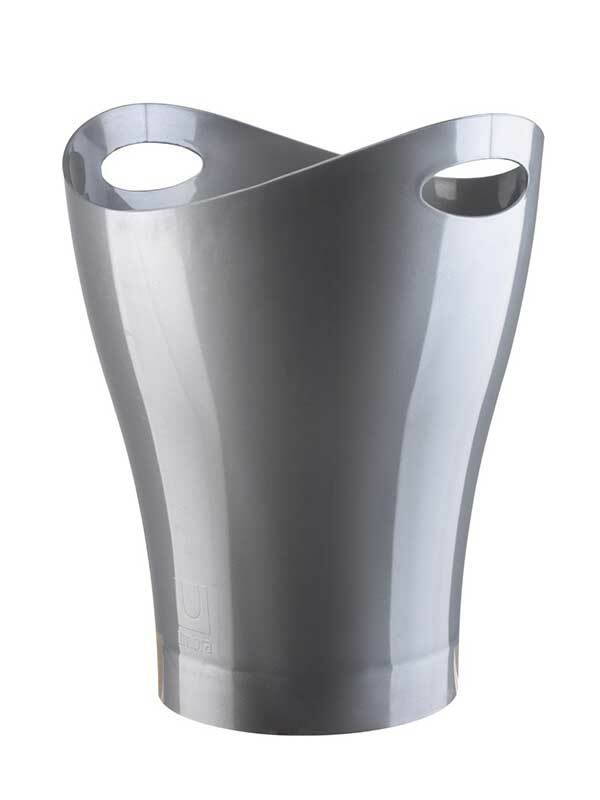 It you are looking for a tough, durable trash can, the Skinny Propylene by Umbra is a good choice. The one I reviewed was surf blue … such a cool color. A small trashcan, it fits well in most settings like the bedroom, bathroom, or office – spaces where trash volume will not be too heavy. This trashcan looks very stylish; though it can look more like a work of art than a trashcan, it is very solidly built, so don’t expect it to crack or break any time soon. Made with Umbra’s signature polypropylene material, it’s built to last a lifetime. But at the same time, the finish on this is great; not the sometimes rough or unfinished look you can get with these types of construction material. It could not be easier to maintain the can – just wipe and go. In the event that you do have to use something stronger than water to clean this bin, I suggest that you use a mild soap or other solvent as you don’t want to risk ruining the beautiful colors of this sleek, skinny trashcan. This unit is unique in that it blends style with heft. It’s made for tougher environments than your kitchen but yet could fit right in without looking out of place. Even though it’s marketed mostly for kitchen use, I think that it’s better suited to areas such as a break room or small cafeteria, or as a trashcan in a commercial kitchen or small warehouse environment. This unit is made with a commercial environment in mind so it is fitted with wheels, two of which lock so that the unit will not roll away. It also has leveling legs to keep it level, if necessary. The top is made of resin with huge cutouts at both sides so you just place the trash in the bin; no surfaces to touch and no pedals to operate. It’s also a breeze to keep clean, especially because there is really no need for persons to touch the stainless steel housing, so it won’t get smudged and smeared easily. The stainless steel finish of the unit is one of the things that gives this unit a lift; you will really love the look and feel of it. It looks as if it should cost twice as much as it actually does; it’s really well made and looks great. 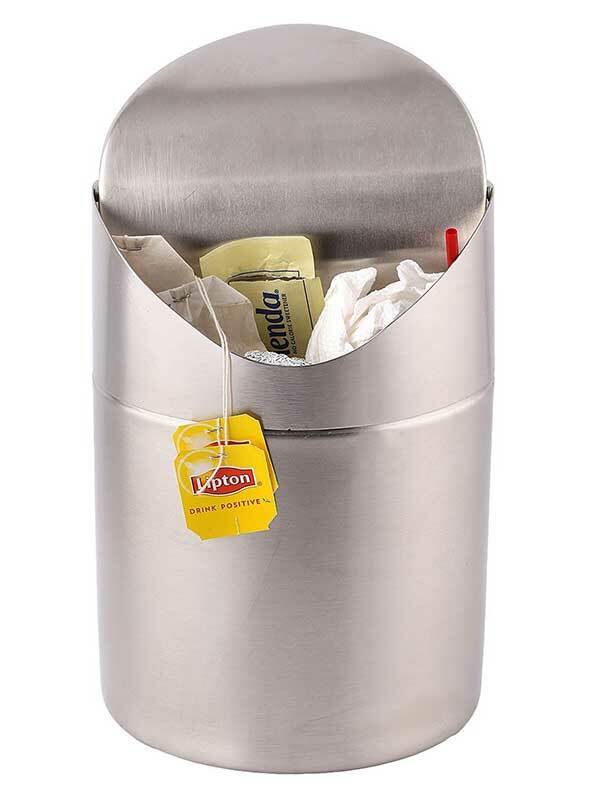 If you’re a serial tea drinker like me you will love this mini countertop trash can courtesy of Estilo. Its brushed stainless steel finish looks awesome and it will fit in with any kitchen or food service environment. These are the little units commonly found at beverage stations in higher-end food establishments or at a catered function, and they always look great. As it sits right on top of the counter or desk it’s right at hand; you just drop your waste in. So if you are making several cups of tea per day like me, you just place the waste from that exercise right there on the counter as you mix your favorite beverage. I also use it while cooking and place particular trash items in there – those for my compost – and it saves me multiple trips to the trash can during the food preparation process. This is so cute and the size so useful that you can use it to store multiple items or to organize an area. You can use a few of them on a shelf, for example, to store stuff but retain an elegant look in the room. 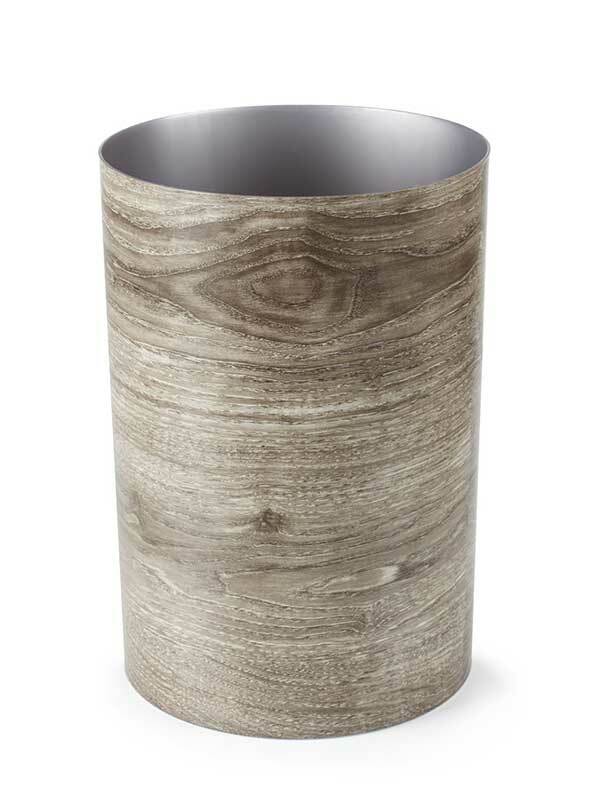 This stylish trash can is made from bent wood. It’s very sophisticated looking and is meant for small spaces as it’s not a very big can. It’s not suited to hold huge amounts of trash but should be used in areas where it’s not expected that a lot of waste would be put in at any one time. This unit comes in a wide array of colors. I tried the brown one, or Expresso, to use the manufacturer’s term, and it was true to color tone when it arrived. At this price, I can pick up a few to work with different looks in the room as I change aspects of the decor from time to time. 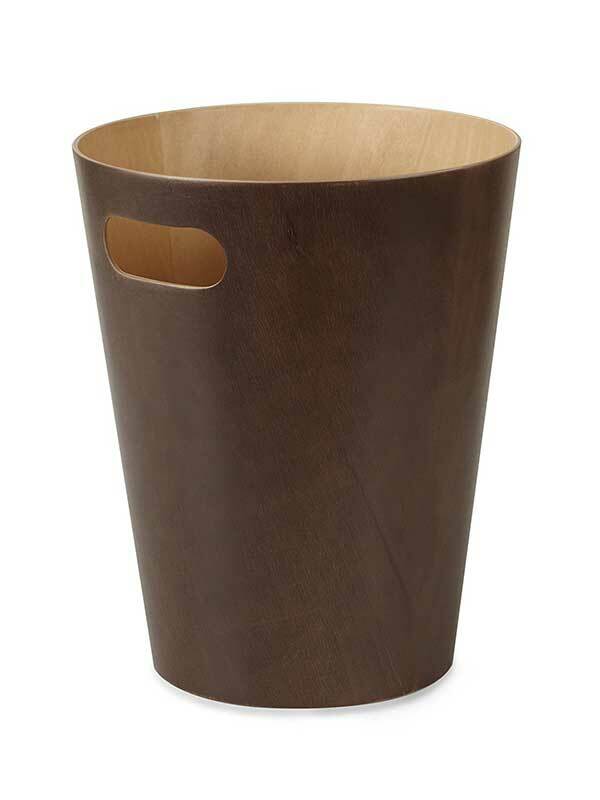 The trash can has an attractive design overall; it just looks great as do most of the products from Umbra. The best element for me though is the integrated handle, which basically means that the handle is cut out of the side of unit, so you just pick up and go and you will never have a problem with the handle coming apart. I also love that the handle is only on one side, which just ups the cool factor for me! So that’s my list of top 20 trashcans. I try to look at every type that is out there because I know that the information will be useful to someone. You already know that I am a touchless can lover, but all of these are great products and are worth the investment if you are looking to purchase. I hope that you will find something that you like and will be willing to give a try. If you need more information, please visit the blog section of the site where I have tons of information about all things trashcan!